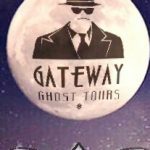 Gateway Ghost Tours presents Junior Ghost Hunter Summer Camp. I have had so many ask about a program for kids that I designed a Summer Camp for all the Junior Ghost Hunters from ages 11 to 18. This will be offered through the Lewisville Parks and Recreation Center. Gateway Ghost Tours is now a contractor with the City of Lewisville and is honored to wear the official city logo. Junior Ghost Hunters will learn the basics of paranormal investigation and receive hands on experience with ghost hunting equipment. Learn the basic history of Old Town Lewisville to better understand the paranormal occurrences of the area. Develop and comprehend the paranormal profession and its vocabulary. Create basic ghost hunting tools – (Dowsing Rods and Pendulums) and learn how to use them. Receive hands on experience with high tech ghost hunting equipment. Learn how to capture physical evidence of paranormal activity with photos and video. Understand what “Orbs” are and how to capture the phenomenon with a cell phone. Capture Electronic Voice Phenomenon (EVP’s). This is a 2 day camp followed by a real ghost hunt Friday evening for all Summer campers. The price includes 2 day instruction, ghost hunt for Summer camper with 1 adult family member for Friday ghost tour. Additional family members are invited and encouraged to join in the ghost tour with special ticket price of $20 per person. ***First Summer camp includes special Friday 13th ghost tour date.